Bringing loads of cargo on your next flight? Then the An 74 is just what you’ll need to balance private, comfortable travels along with the efficiency in bringing heavy pallets to your destination. This aircraft is convertible to accommodate passengers and freight, plus it effectively lands or takes off on short runways. The An 74 is also great for short or medium range flights, with its 1,890-nautical mile flying range. Now bringing cargo has never become much easier, when you have the flexible An 74 to fly on. What makes the Antonov An 74 additionally unique is its over-the-wing twin engines to increase it flying agility. As an upgrade of the An72, the Antonov An 74 is made to operate in various climates. Do you need to fly on or to chilly destinations such as the North Pole? Or perhaps you’re travelling at a humid area with temperatures hitting a minimum of 45 °C. Either way, the Antonov An 74 is the definite charter to take you there. 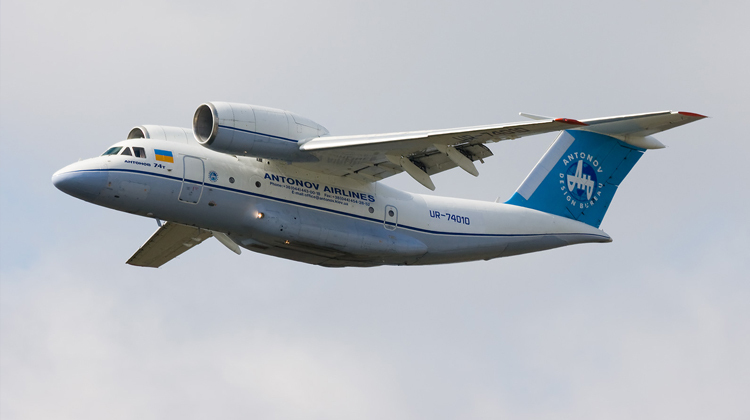 The Antonov An 74 has an area equivalent to 52 – 68 passenger seats. With its ability to accommodate pallets and other freight-related materials, the plane in itself is flexible to balance out seats for travelers and pallet spaces. Luggage spaciousness is definitely an understatement for an aircraft such as the An74. Upon chartering for this plane, it would be advisable for you to agree on your intended layout and other facilities with your charter service. The terms you’ll agree upon should enable you to have a much more seamless flight whether you intend to reach a short or middle ranged destination. Along with its regional flying capabilities, the Antonov An 74 is also known for its flexibility to land on challenging runways. It has the mechanisms to operate on STOL (short takeoff or landing) runways. If you’re about to bring your team and cargo to slightly more difficult terrains, you can count on the An 74 to reach your destination. Perhaps you’re setting up shop to an event. Or maybe you will be personally living in another region for a while. When aboard the Antonov An 74, you can definitely bring all the possible materials you’ll need. Given its flying performance and cargo carrying capabilities, the An 74 is definitely every passenger’s go-to aircraft for regional destinations. 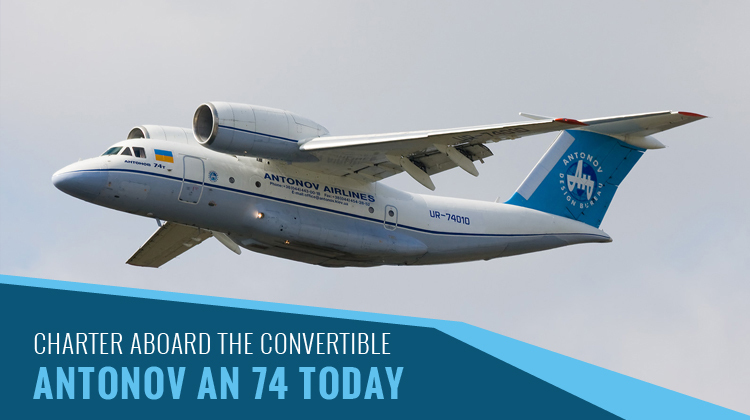 Built by Antonov as a joint project from the Soviet Union and Ukraine, the An 74 had An 72 as its basis for development. Since its initial production during 1986, the An 74 is still being manufacturer to this day. The An 74 and 72’s flying features are in demand, since they both have the Russian, Egyptian and Iranian air forces as primary fliers. Antonov built over 190 units of these planes to mostly serve the purposes of the mentioned air forces.